Delivery shall be deemed to have been made by You to ShootingSight LLC five (5) days after the date sent. **ShootingSight products are not offered for sale in areas where they are illegal to own or to sell. Copyright © 2013-2017 ShootingSight LLC. All rights reserved. As a user, you are authorized only to view, copy, print, and distribute documents on this Web site so long as (1) the document is used for informational purposes only, and (2) any copy of the document (or portion thereof) includes the following copyright notice: Copyright © 2013-2017 ShootingSight LLC. All rights reserved. 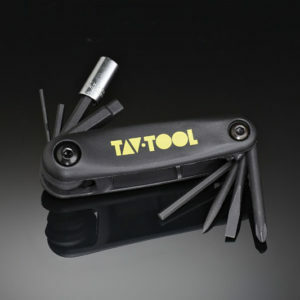 All brand, product, service, and process names appearing on this Web site are trademarks of their respective holders. Reference to or use of a product, service, or process does not imply recommendation, approval, affiliation, or sponsorship of that product, service, or process by ShootingSight LLC. Nothing contained herein shall be construed as conferring by implication, estoppel, or otherwise any license or right under any patent, copyright, trademark, or other intellectual property right of ShootingSight LLC or any third party, except as expressly granted herein. This site may contain other proprietary notices and copyright information, the terms of which must be observed and followed. Information on this site may contain technical inaccuracies or typographical errors. Information, including product pricing and availability, may be changed or updated without notice. ShootingSight LLC and its subsidiaries reserve the right to refuse service, terminate accounts, and/or cancel orders in its discretion, including, without limitation, if ShootingSight LLC believes that customer conduct violates applicable law or is harmful to the interests of ShootingSight LLC and its subsidiaries. ShootingSight LLC is committed to ensuring your online privacy. If you have any questions regarding the information below please contact us 607-600 Redna Terrace, Cincinnati, Ohio 45215 or email us at shootingsight@fiotics.com. ShootingSight LLC does not sell or trade customer address or email address information. Email addresses are used to send receipts and shipping notifications on placed orders and as a means to contact you if you cannot be reached by phone, and may be used by us for occasional marketing communications. 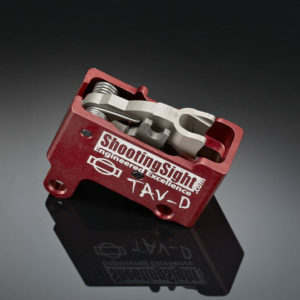 You can opt out at any time by emailing us as customerservice@shootingsight.com. Your address information is used to accurately ship orders. ShootingSight LLC uses general means to track and measure website statistics to determine the overall success of our site’s performance. None of the data collected pertains to individual customer information. All online transactions are processed by a credit card service provider licensed and insured against fraud. ShootingSight LLC restricts access to credit card information to only those who require this information to process an online sale. ShootingSight LLC has a secure checkout procedure in place that encrypts all personal information entered when placing an order. This information cannot be viewed or changed at any point after the order is placed. For items ordered within the United States, the BUYER agrees to comply with all EXPORT CONTROL LAWS. By ordering ITAR controlled items, BUYER agrees that they will not sell, consign, give, lease or otherwise transfer such items, or any interest therein, nor in any manner disclose, or make them available to any person, or entity, outside the United States of America, or in violation of (i) the Export Administration Act, 50 U.S.C. App. §§ 2401-2420, as amended. (ii) the export control regulations of the Bureau of Export Administration of the U.S. Department of Commerce, 15 C.F.R. Parts 768-799 or (iii) in violation of the export control regulations of the Office of Foreign Assets Control, U.S. Department of the Treasury, 31 C.F.R. Parts 500-580. Buyer expressly agrees not to violate any U.S. law and to comply with all National Fire Arms Act provisions and BATF regulations when installing or using the items. By ordering any firearm parts for export, BUYER asserts that they are a citizen of the country to which the item is being exported, that they are not on a disqualified list, and that the items being ordered are not for re-export n violation of US EXPORT CONTROL LAWS. Shipping laws are different in each country. It is your responsibility to check with your Customs office to verify whether the country to which you are shipping permits the shipment of your products. 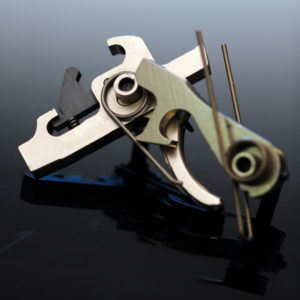 ShootingSight LLC is not responsible for any direct, indirect, punitive, or consequential damages that arise from improper international shipping practices. We want you to be 100% satisfied with our products. If for any reason you are not, please let us know. You may purchase merchandise from this Web site by using any one of the payment options listed in (link to Payment Options). ShootingSight reserves the right to change its payment procedures at any time without prior notice to you. Refunds are available to the purchaser of the item in the form of payment the purchase was made. If the returned item was used to qualify the purchase for a promotional offer, the cost of the promotional item will be deducted from the refunded amount. Free promotional items are not returnable. Promotional pricing will be used in determining refund amounts. Credit cards will be refunded on the card used for the purchase. Checks will be refunded if after 14 days of purchase, or a product exchange. If the returned item was used to qualify the purchase for a promotional offer, the cost of the promotional item will be deducted from the refunded amount. Free promotional items are not returnable. Promotional pricing will be used in determining refund amounts.